Time for our Mom’s calling Q&A again! Our tech support team at VoIP Supply offers great pre- and post-sales support plus provisioning, consultations, configuration, and installation help. 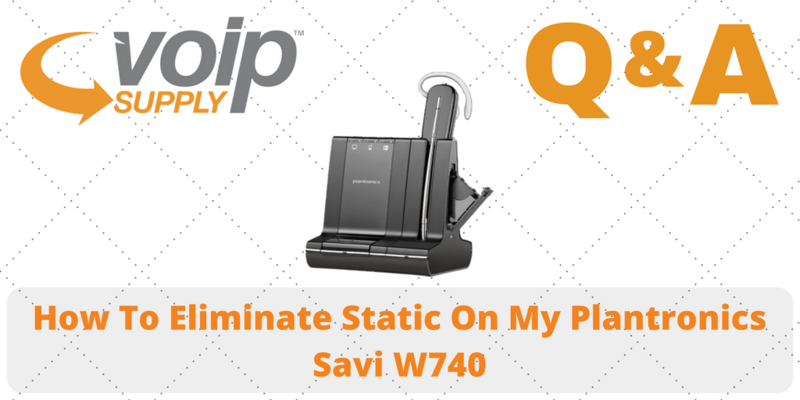 Q: I am using a Plantronics Savi W740 headset and I keep experiencing static on the headset. It is attached to a Polycom VVX media phone. What can I do? A: There are some areas you can check to find the possible cause. Test the VoIP headset on another same model phone just to make sure the issue is from the headset, not from the phone. Check the settings on the base. It should be set to “A”. If there is still static occurring try another channel on the headset base. On the Polycom VVX menu settings under Menu > Basic > Headset, ensure that both Plantronics EHS and Headset Memory is enabled. After you save the settings, please reboot the phone. What Bluetooth Headsets are Compatible with Sangoma’s s705?